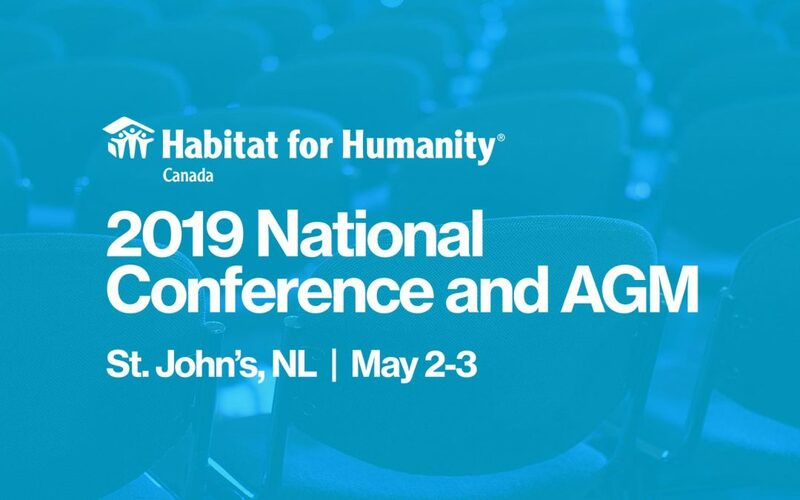 Habitat for Humanity Newfoundland and Labrador will be hosting the Habitat Canada National Conference and AGM this year. We are very excited about it, but will need your support to make it a success. Volunteers will be needed from April 30 – May 3 in a number of different capacities. Please see below for position descriptions. If you are interested in helping out or would like more information, please contact Lori LeDrew, Manager, Family Services & Volunteer Program at 753-5743 ext 3 or lledrew@habitatnl.ca.